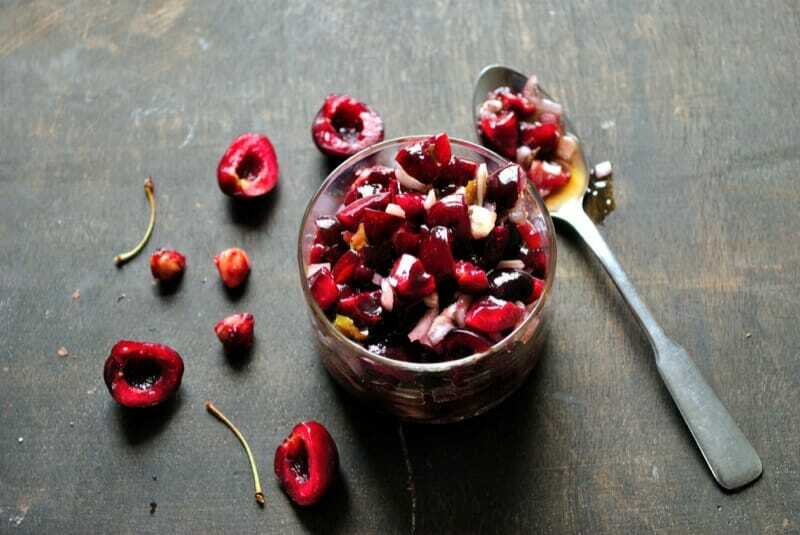 Switch it up with some fresh cherries in your salsa for a refreshing appetizer. Also makes a great addition to fish dishes. Combine all ingredients in a bowl and stir gently to combine.